L'Ile-Rousse is a popular resort in north-west Corsica, to the north-east of Calvi and on the edge of the Balagne region. Unlike almost every other important town on Corsica, l'Ile-Rousse was not founded by the Genoese. 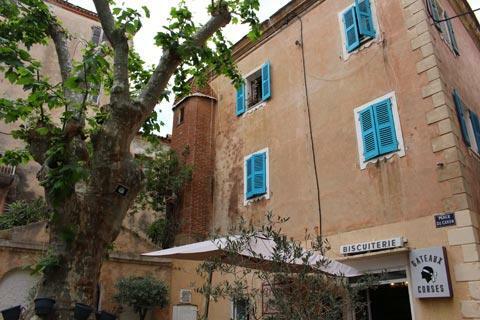 In fact, the town was founded by Pascal Paoli in the 18th century, principally to try and take trade away from Calvi. 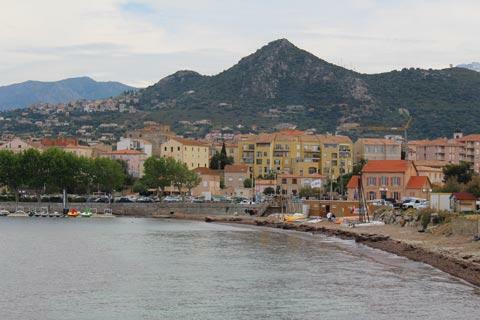 There are several car parks in and near the centre of L'Ile-Rousse: the one on the main Calvi-Bastia road that passes through the town is convenient and easy to find without needing to drive through the busy streets of the town centre. 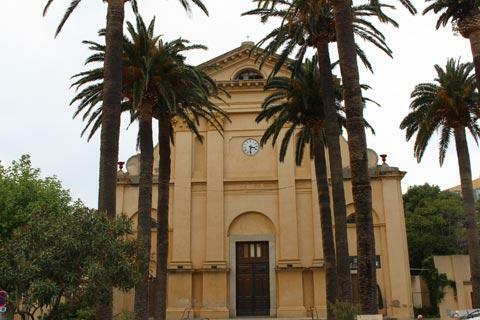 From here it is a short walk along Avenue Piccioni to reach Place Paoli: a large square in the centre of the town and an ideal place to start your visit. In the square you will notice a bust of Pascal Paoli, not surprising since he is still a very important figure for many Corsicans and he founded the town. The town has three main parts: the historic centre, the beach and the island. 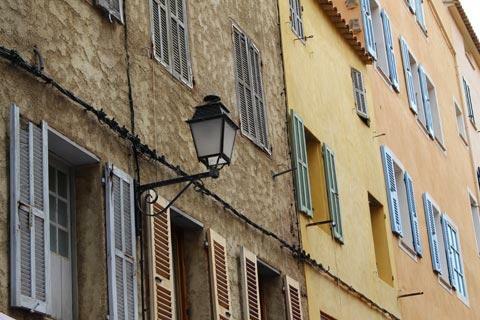 The historic centre is the part of l'Ile-Rousse north of Place Paoli and is a region of tall, often colourful, houses. 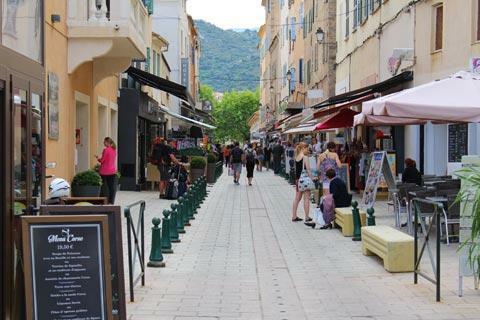 Although quite compact there are quite a few streets of shops and cafes to explore and a lively holiday atmosphere. 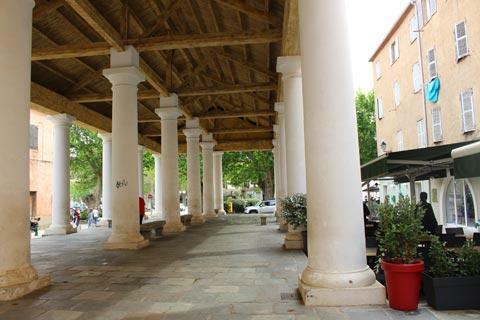 The main monuments in l'Ile-Rousse are the covered market on the edge of Place Paoli, built in 1845 to have the appearance of a Greek temple, and the two churches on Rue Louis Philippe, the road that travels west from Place Paoli. 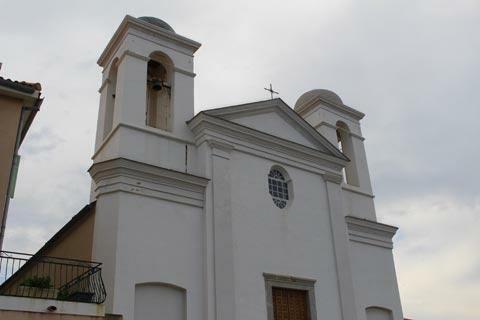 These are the Church of the Immaculate Conception and the Church de la Miséricorde. There is also a 17th century tower called the Tour de Scalo that you will notice near the town hall. This tower has had various uses during its history including being a museum and a prison but the most important was as a storage place for gunpowder: an important role until the tower was struck by lightening, the gunpowder exploded and several people were killed in the explosion. 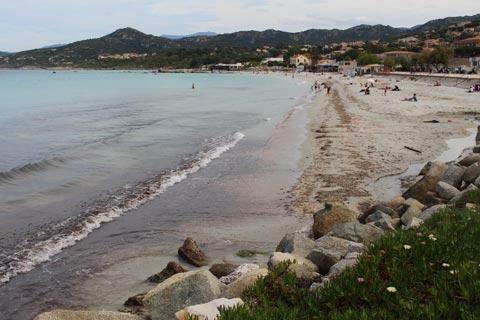 The beaches in l'Ile-Rousse follow the coast to the north and east of the town centre. It is the proximity of attractive beaches close to the town centre that largely explain the popularity of l'Ile-Rousse with visitors. 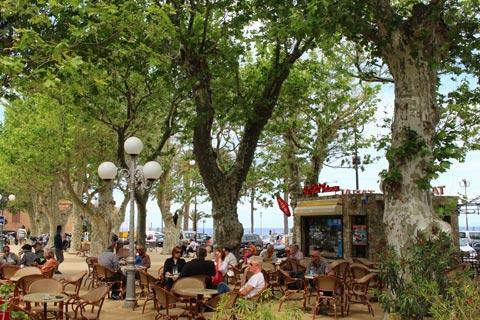 The beach closer to the centre is called the Plage du Napoléon and has a promenade next to it and several beach cafes and is ideal for a stroll and a meal even if the beach itself is a bit overcrowded. The second beach, passed a small rocky headland, is the Plage de Ginepara and this is usually quieter, especially if you walk towards the rock section at the far end of the beach. Both beaches are sandy and a few hundred metres long. There is also a small beach just to the side of the road that leads out to the island, the Plage Nautique, but this is mostly reserved for watersports. 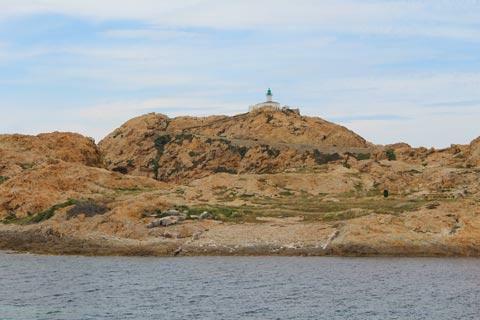 It is clear as soon as you see the island - the Ile de la Pietra - where the town gets its name from: it is a big rocky red island just a few hundred metres offshore and reached by a road. 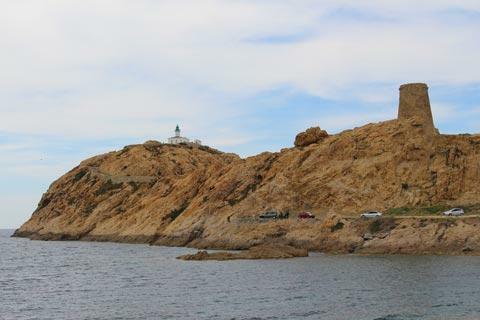 Most visitors will want to walk out to the island to explore: on the island there is a Genoese tower and two lighthouses, as well as a nice view back across the harbour to l'Ile-Rousse town. Note: if it is hot and you don't have the energy to walk around the island there is a small tourist train that visits the highlights within the town as well as making a tour of the island, cost around seven euros. 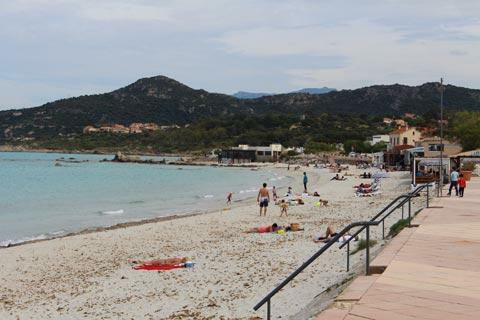 Several alternative beaches are available a few kilometres outside the town centre such as the Plage de Lozari and the Plage Ostriconi to the east of L'Ile-Rousse. Ostriconi beach near Ogliastro is very beautiful, one of the loveliest beaches in Corsica, but does involve a reasonably long walk to get to the beach from the car park. The resort of Calvi to the south-west of l'Ile-Rousse is always very popular and as well as a beach that stretches several kilometres there is a very impressive citadel and harbour to explore: see the Calvi guide. In the hills behind the town you can explore the villages of the Balagne region: Sant'Antonino is the most popular of them.